They will be gentle on your throat, too. Here’s why . . . Luckies’ exclusive “Toasting” process expels certain harsh irritants found in all tobacco. This makes Luckies’ fine tobaccos even finer… a light smoke. Sworn records show that among independent tobacco experts—men who know tobacco and its qualities — Luckies have twice as many exclusive smokers as all other cigarettes combined. I love the “exclusive “Toasting” process”. All tobacco is toasted. Also, why have they given Dolores Del Rio a lazy eye? So when she actually does develop throat cancer, will the insurance fail to pay out because of self-inflicted damage? 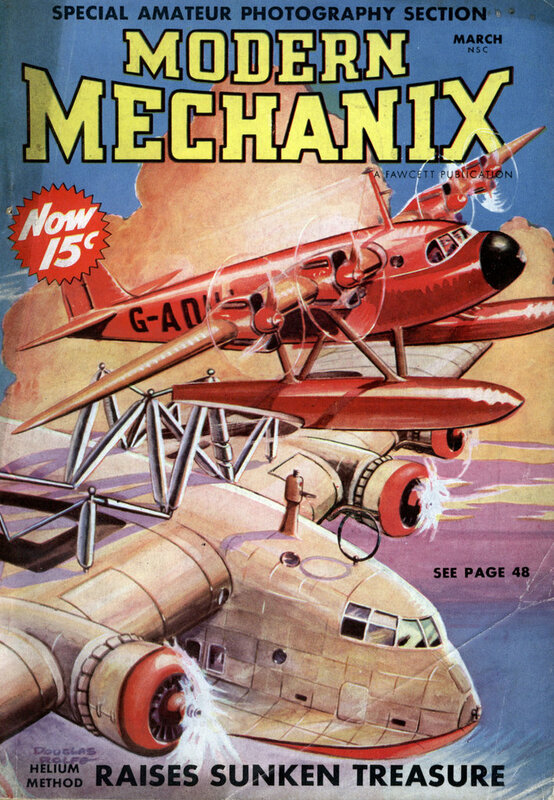 Someone once told me they discontinued the green package during World War II due to a copper shortage, copper being needed for the green dye. Just marketing hype. The green in fact came from chromium not copper. I’ll save you some time in the future. If your question starts out “Someone once told me..” it’s probably an urban legend. The pilot episode of “Mad Men” covered this – it’s common in advertising to make a selling point from a standard industry practice. If nobody else has talked about it much, it’s yours. 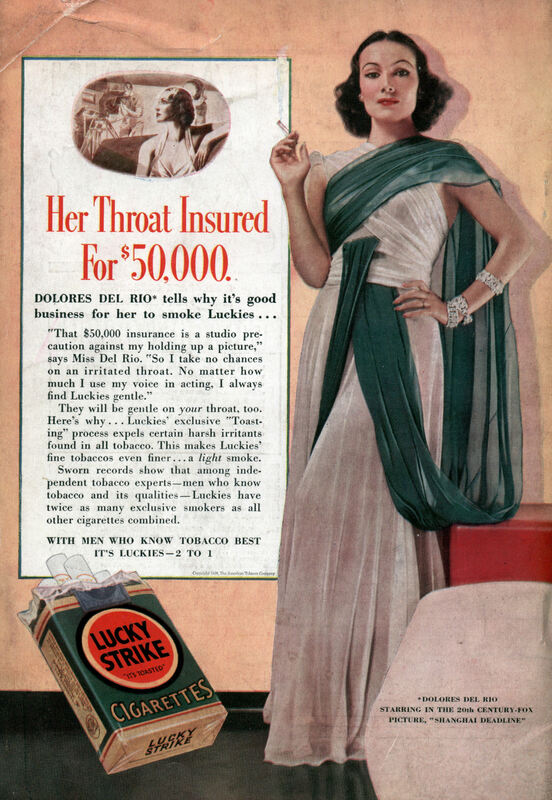 Granted, Luckies were the example they used, and they showed Don Draper coining “Lucky Strike-It’s Toasted” in 1960! On the change in color of the package They did run a series of ads around the theme “Lucky Strike Goes to War” As George points out, it was BS. Tom: Actually Tom, George was asking if it was real, I was the one who pointed out that it was nonsense.